The feature has been testing in a limited number of Groups, but is now available for all of them. 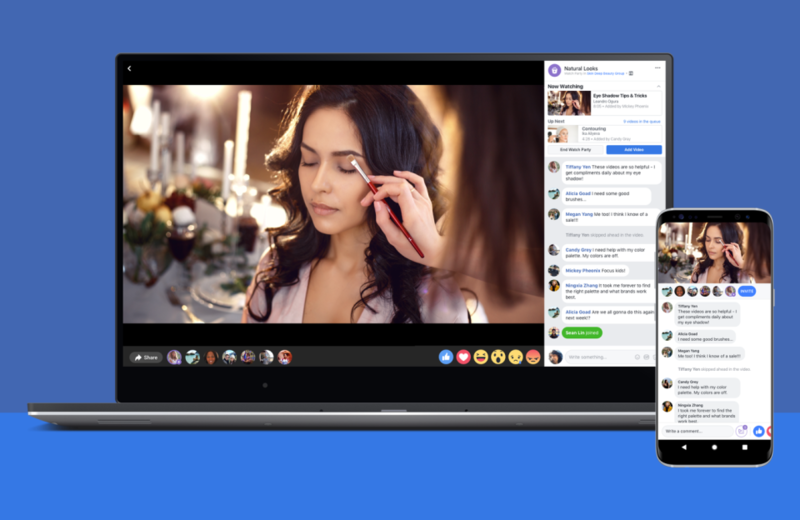 One user can invite others in a shared Facebook Group to watch synchronized videos with them, managing a queue of what will play next. The videos play alongside a chat that everybody watching can contribute to. Along with the wider rollout comes Watch Party co-hosting, which lets the host of a Party designate other users who can control the stream, and crowdsourcing, which allows any user in the Party to suggest a video to add to the queue. Facebook is testing the ability to form a Watch Party with friends who aren't in the same group, which will surely encourage use of the feature.